Hi! 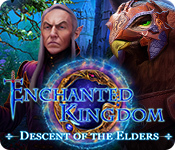 The new Weekday Escape is here bringing three fantastic games! Lutaru gives us a box for playing, with a small button here and a tiny hole there and waits until we figure out what to do with it. After they release us, we find ourselves in Shiesuta's cosy room with greenish walls and variety of challenging puzzles. And after we escape again, with or without help, the last Riddle Escape´s game is waiting for us! Without cicadas, promised. 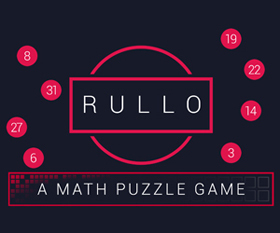 This game from Lutaru is not new, but it's very good with some elegant puzzles and shouldn't be missed (also, there is a gap between Tsure Game 6.3 and Tsure Game 7 where it belongs). 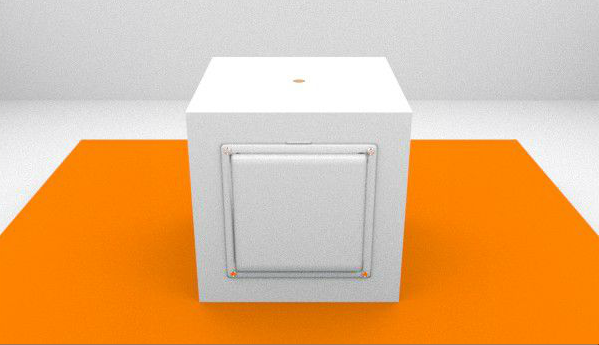 So, you are locked in a white room in front of a white box and the box is what you should care about. If you want to escape, naturally. You can move around it, there are black arrows visible after you move your cursor by box's sides. Inspect each side carefully and don't forget to check items in your inventory, they can be combined! The cursor is not changing, but there is no pixel hunt. No save button, but the game isn't long. Note for players disappointed by lack of cute animals - one penguin is delivered at the end. 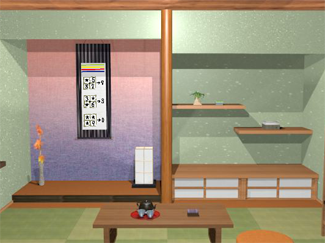 As the name suggests, in Shiesuta's game you find yourself in Japanese style room. Pleasantly surprising is old style of the game and also its puzzles, which are layered and solution requires combination of few clues (the way of using the hammer is surprising too...). Follow your changing cursor as some items or hotspots can be easily overlooked, remember, that items can interact in your inventory and don't worry if you find something and don't know what it is (description of items is in Japanese only). Later in the game you would understand. No save button, one ending. P. S. This cosy room with greenish walls reminds me of excellent Loom Blend by Place of Light. All their games are excellent and worth revisiting! Last week we played great game from Riddle Escape and this week they are back with another one! It's magic night again but the place is different. First you have to find your way out from small wooden shed, then cross red bridge and finally leave through the main gate, after you find the key. The game is quite dark but playable. Also fluent, with well ballanced difficulty and atmospheric. The cursor is not changing, no save button, one ending. This game is available for Android too. Japanese Style Room Escape is gorgeous! There's just something visually appealing about Lutaru and his mysterious white boxes. It's like the escape game version of a fidget cube. Front: You start off facing a plain white cube, with a large panel in front screwed down. Top: A small piece of cork plugs up a hole in the top of the box. Left: There's a large cross-head screw in the lower-left of this face. Back: There's a keyhole in this face and a corkscrew leaning on the base. Right: Something round with a reflective surface is embedded in the lower-right of this face. Zoom in on the cork and use the corkscrew to remove it. It's attached to a bar magnet! Use the bar magnet on the lower-right of the right face, extracting a cylinder that turns out to be a flathead screwdriver. Use the screwdriver on the front panel, opening it up to get a coiled wire carefully balanced on a four-digit lock. Examine the screwdriver, and use the wire on the small hole next to the handle. The end breaks off and turns out to be a cross-head screwdriver. Use the new screwdriver on the large screw on the left face. It gets stuck, and you pull out a vial of purple liquid along with it. Pour the life water down the hole on the top, and a tree instantly grows through it. It has no leaves yet. (Use the arrows on the sides to) turn around to the back of the tree, and something sparkles at its base. Click on it to zoom in on the hole again. A key ring sticks out to the hole, so click on it to get a key. Use the key on the keyhole on the back face, and it swings open. Inside, there's some bottles of fertilizer. But that's not the back of the box. A false panel hides the tree, and its corners can be pushed in. Look in the back of the fertilizer box to find a diagram, an open door with numbers written in the corners. So use that code to unlock the false panel. The digits 1 to 7 occur in the UL LL LR UR LR LL UL corners. So click the ⌜⌞⌟⌝⌟ ⌞⌜ corners, and the panel falls off. Use the fertilizer on the pot, causing it to grow leaves. Somehow, this also makes a folded note fall from the top. The note shows three dice faces followed by a 4, each dice face displaying a ⚄ (quincunx) with one dot colored red. Use the clue from the folded note to unlock the four-digit lock. The red dots occur on the lower-left, middle and lower-right. The digit 1 on this screen appears in the middle. Moving around the box, you find that the light illuminates the two holes on the left and right faces so that they display a 7 (lower-left of left face) and an 8 (lower-right of right face). Putting them together makes the code 7184. So enter that into the lock, and the top of the box opens up. Pick up the tree, and the wall behind the box raises up. You can now go straight through the garden, out of the gate and... it's a dead end? Look around to see what you missed. Turn left in the garden to find a hole in the ground. Use the tree on the hole, and a mysterious voice calls out to you. "Thank you. Your way back has appeared. Take care!" So leave through the gate and cross the bridge to end the game. Do you keep getting 14 where you need a one-digit number? That's because one of your 7s is actually a 1. There's some rather fantastic exposition on the top of the game page (and some more on the ending screen) which I can't translate for you, unfortunately. But you can still enjoy the laid-back summer experience in this oriental decorated room. The background music is off when you start the game, and you can turn it on by clicking the hedgehog silhouette in the corner. Most locked objects are very particular about where you click: click on the lock to unlock and click on the handle to open. Most items will not return to their original position when clicked, but backing out of the view will reset them. Keys will not get consumed as you use them. Try to remember which ones you've used before. You start off facing a wall divided by a wooden pillar, just as in the screenshot. On the left, a scroll has a clue with colored stripes, grids of numbers, and a bunch of stars. There's also a lamp on the floor, but clicking its top edge reveals that it's missing a lightbulb. Click on the lower-right corner of the scroll, and the handle opens up. Take a hollow metal rod from inside. On the right side, there are two wall shelves over sliding cupboards. The left shelf has a locked box with two leaf-shaped buttons, and the right shelf has a locked four-digit box. The left pair of sliding cupboard doors is locked and needs a key, and the right pair is unlocked, and you can open the left door to find a note with a grid containing more numbers and stars. In the front, the table has a tea set, with bright green tea already poured into the teacups. Something is glimmering in the left teacup, so pick it up. It's a glass bead. Also on the table, there's a locked four-letter box. Pick up the brown cushion on the floor to find a list of objects symbols and their English names. Turn right. There are some shelves here with assorted objects. In the top-center shelf, there's a locked four-digit box with a pink fish symbol on it. In the lower-left shelf, one of the books is leaning on the side, and it has instructions for converting your PET bottle into a microscope. Under the shelves, there are two locked drawers. The right drawer is locked and needs a key, and the left drawer appears to be stuck. Learning from Riddle Room's tricks, you click on the lower-left corner of the shelf to look around it. A hexagonal bolt holds the drawer in place. But you can also check the right side of the shelf to find a capsule. Turn right. The door here is locked and you don't have a key, so turn right. The (paper) window has a grid of 25 lines, with four colored dots at four of their intersections. Under that, a small counter is attached to the wall. It has a calendar with three dates crossed off and a box with four arrow buttons and a laptop with no interesting DATA on it. But maybe you could add some data through one of its ports on the right. Under that, look in the trash bin to find a crumpled paper note. To the left of that bin, a chest of drawers has a locked top drawer requiring a three-letter code with three symbols next to it, an unlocked middle drawer which is empty, and a locked bottom drawer you don't have the key for. Open up the green capsule you got from beside the shelf to find a normal-looking key. Then use that key to unlock the bottom drawer of the chest of drawers. Open it to find a hammer. Use the hammer on the metal rod to shape it into a hexagon. Use the hexagonal rod to remove the hidden bolt to the left of the shelves. Then open the lower-left drawer to find a chisel. Use the clue under the brown cushion to unlock the three-letter drawer. The symbols on the drawer are Pear Candle Textbook, and there are 2, 3, 7 of them on the shelf. So take the 2nd letter of Pear, 3rd of Candle and 7th of Textbook to form the code ENO. Enter that into the drawer, and open it to get a lightbulb. Use the lightbulb on the lamp, then back out. A clue appears backlit on the front of the lamp. Use that clue to unlock the box next to the laptop. Follow the arrow through the square grid it appears on, moving in the LDRUULD pattern. So press those buttons on the box, then open it to find a blue key. Use the blue key to unlock the lower-right drawer of the shelves, and open it to get a USB drive. Use the drive on the right side of the laptop, and click the new item on its screen to view a cute penguin picture. Then use the clue from the penguin picture to unlock the box on the left wall shelf. The 2nd, 3rd, 6th penguins from the left face right. So click the LRRLLRL buttons to open the box. Take a green glass filter from inside. Unfold the crumpled note to find a clue with digits of different sizes and three pink fish. So use the clue from the calendar to determine which digits to enter in the box. Since the days 4, 7, 28 are crossed out, remvove the corresponding digits from the note to get 6915. Enter that in the box to get a star key. Use the star key to unlock the left sliding cupboards, then slide open the right door to get a PET bottle. There are grids on the scroll, the note and the window. Use the hints from them to unlock the four-digit box on the right shelf. The total of each 2x2 grid on the scroll is the number on its right, if you make an appropriate substitution. Each star symbol should represent -3. Now that we know how to do some sums, we need a sequence of four grids to produce our sequence of four digits. Divide the grid on the note into four 2x2 blocks. If you superimpose this pattern over the window, the four colored dots appear in the middle of the blocks. The colored stripes on the scroll appear in the order Green Yellow Red Blue, corresponding to the UR LL UL LR blocks. so enter 7028 to unlock the box, and open it (with the same button) to get a pair of scissors. Follow the instructions in the book to make a microscope. Click on the bottle to remove its cap, then use the scissors on the body to cut out the bottle top. Use the chisel on the bottle cap to punch a hole, then use the bead on the hole to fill it. Use the green filter on the bottle top, then use the cap on it. Look through the homemade microscope. Some of the plant cell walls are outlined in red, so use that clue to unlock the box on the table. Enter HOPE in the box to unlock it, then open it to get a lucky key. Use the lucky key on the door to escape. I wouldn't mind if Riddle Escape made all their games at night. You start off facing locked double doors, and can faintly see a red torii gate through them. Turn left. There are some cupboards on the wall missing their door handles. Below them, a locked box has five pairs of lines that change color when clicked. Turn left. A photo of a lantern has tilty corners, and a display cabinet below that has a grid of shelves four of which have decorative globes on them. Turn left. A box with nine buttons sits on a table with a stuck drawer. To the left, four windchimes hang over a box with two tadpole-shaped cavities in the top. 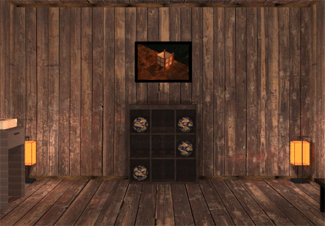 Use the clue from the shelves with globes to unlock the box with nine buttons. The globes are in the upper-left, upper-right, right and lower-left spots, so click those buttons. The box opens and you find a rod and a dark patch at the bottom of the box. Use the rod on the half-open drawer, opening it up to find a fan and a box with four sunflower-patterned buttons. Use the clue from the windchime to open the sunflower box. The tags attached to the windchimes have sunflower symbols on their bottom, top, middle, bottom. 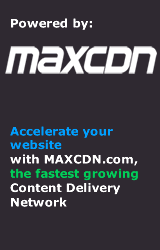 So copy that pattern on the box by clicking the columns 2, 0, 1, 2 times. The box opens and you can take a curved crystal (magatama). Use the clue from the fan to open the box on the table beneath the cupboards. The fan handle has glowing markings in red, white, yellow, blue, green. So copy that pattern on the box by clicking the line pairs 2, 0, 4, 3, 1 times. The box opens and you can take a matchbox. Opening the matchbox, you find another magatama and a match. Use both magatama on the box beneath the windchimes, and open it to find a key. Then use the key on the double doors to leave... but there's more! A catchy ondo drumbeat plays, and a bridge over the river is well-lit. The lantern on the left of the bridge has an unlit candle, and the lantern on the right has a glowing green switch that can be pulled to make it light up in a sequence of colors. Beside the right lantern is a patch of soil, and you can further zoom in on the river. As you cross the bridge, you notice a box balanced on the right railing, with three identical flower buttons. On the opposite side, a sign shows three (hanging) lanterns, but the middle one is blacked out. The others have one and two flowers painted on. Walk to the end of the bridge. Just before the door, a rag is hanging off the torii gate. Use the rod on it to get the towel. Zoom in on the soil beside the right lantern and then the river, and use the towel on it. Then use the towel on the bottom of the first box you opened (on the table with a drawer) to find a clue with three lanterns, the right one blacked out and three and four flowers painted on the other two. Use the matchbox on the left lantern to light it, displaying a grid of colors on the front. Then use the clues from both lanterns to unlock the tilty corner picture. The right lantern flashes red, blue, red, blue, yellow, green. The corresponding colors appear on the UL UR UL UR LL LR spots on the left lantern. So click the ⌜⌝ ⌜⌝ ⌞⌟ corners of the picture, and it comes off, revealing a clue with three lanterns, the left one blacked out and five and six flowers painted on the other two. Under the picture, there's also a box with two triangular buttons, one pointing up and the other down. Use the clues with the flowers on the lanterns to unlock the flower box on the bridge. The lanterns with one, two, ..., six flowers appear on the LRLCCR positions on the clues. So press those buttons, and the box opens. Take the shovel from inside. Use the shovel on the soil patch to get a wooden stick with some triangles on it. So use that clue to unlock the box behind the tilty corner picture. From top to bottom, the triangles point UDDUUD. So press those buttons, and the box opens. Take the door handles from inside. Use the handles on the cupboard doors in this room, and open them to find a picture frame containing a clue with some white and black circles with a dotted arrow above them pointing to the right. On the right, a circular box has six circular buttons around the outside with a dotted arrow running counterclockwise around the inside. So use the clue to unlock the box. The 1st and 5th circles from the left are black, so click all the buttons except the top and lower-right ones. The box opens and you get a key, similar to the first key. Which is fitting because the first key opened the double doors to the room, and this key opens the double doors across the bridge. Unlock those doors, and walk out into the torii path. You get a nice "congratulation" screen with fireworks. Japanese Style Room was a great if somewhat frustrating game. Very much like Tesshi-e in puzzle style and complexity. However, the irritating star puzzle almost ruined it for me. I hope to see more from this developer. doesn't work. I did LRLCCR but it won't unlock the box.
? I worked darn hard to finish your games; I deserve at least a few more!